It’s a nice surprise to discover that what you have considered a real nuisance in the veg patch, could in fact turn out to be a blessing. I’ve been plagued with chickweed for well over a year now in the small polytunnel. God knows how it got in there, but clearly I unwittingly let some of it go to flower, and the result has been a persistent, interminable weed problem. It’s a formidable foe with each flower being self-fertile and each seed pod producing up to 2,500 seeds. Once it starts to grow, it is rampant and has an extensive root system that makes it hard to knock back. Annoyingly, it seems to thrive and particularly enjoy growing right beside other seedlings making it even harder still to get at. I covered the soil in the tunnel down with black polythene for 5 months this winter in the hopes of getting rid of it once for all, but it’s back with a vengeance again in the last few weeks. I recently read that its seeds can lie dormant in soil for 4 years. Persistent hoeing is the only way I can seem to stay on top of it, and that’s all I seem to be doing – staying on top of it, rather than getting rid of it. Thankfully there are upsides to chickweed. Firstly it is a sign of fertile soil, so I suppose you can console yourself with that fact as you weed it. Secondly, not only is it edible, it’s considered to be (to use that awful phrase) a nutritional powerhouse. This is good news indeed since I regularly find it in the salad bowl in among the oriental greens, among whom it grows happily in the tunnel. The leaves have a mild flavour and can be used by adding them raw to salads and sandwiches. They can be tossed into soups and stews as well. Check out the soup recipe below which uses fresh chickweed soup to bring colour and flavour to a standard veg soup. Though I am always somewhat skeptical about so called superfood health claims, it can apparently be used to reduce inflammation and relieve gastrointestinal problems (yes, but in what quantities?). Still, the fact that its edible gives some meaning to my persistent battle against it. You can recognize chickweed by its oval leaves, starry white flowers and if you pull the stem apart you find a second elasticated stem inside – our kids love that. Carrots are fussy and they need a deep, fertile soil to do well. Think about the length of a decent carrot and ask yourself the question - are these seeds going to be able to push down in to my soil and turn in to a nice, long carrot? If it’s heavy and stony, they probably won’t. So ideally, the soil should be in decent nick up to a spades depth. That means they are one of the only parts of the garden where I do a good bit of work on the soil prior to sowing. I turn the soil in the carrot bed over with a fork about 3-4 weeks before sowing – so around now is good for me, since I will usually sow my main crop carrots at the end of May. Though this might seem late for a main crop carrot sowing, I find germination far more reliable (and carrot root fly far less a problem) if I wait until then. Also, since I am primarily interested in having carrots as a late autumn / early winter crop to be eaten straight from the soil, I really don’t want them ready too early. Using the fork I break up any big clumps of soil, and then I leave it settle for a few weeks. Then about a week before sowing, I will get in there and get the bed ready for those tiny carrot seeds. A key mistake that people make when sowing carrots is that they don’t have a fine seed bed, and the carrot seeds end up being too deep or too shallow to germinate. Raking over and back does an amazing job of breaking up the larger clods of soil, and getting a really fine tilth. I also add a general purpose organic fertilizer (a handful of seaweed dust per square yard would do the trick). Have your revenge on chickweed by making a tasty, nutritious soup. This recipe is from Ciaran Burke’s Blooms n’ Food blog. www.bloomsandfood.com. Serves 4. Peel and finely dice the onion. Peel and finely dice the potatoes. Remove any big stalks from the chickweed and wash well. I find if you fill a sink with clean cold water and dump the chickweed in, any soil or dirt will settle to the bottom of the sink. You can then scoop the leaves from the water, leaving the dirt behind. Melt the butter in some olive oil in a large saucepan. Saute the onion until soft and golden but do not let it burn. Add the diced potatoes and stir in the oil for a couple of minutes. Now add a little water, enough to cover the potatoes and simmer until the potatoes are soft. Then add the chicken stock and cook until it is boiling. Throw in the chickweed leaves and simmer for about ten minutes. Season with salt and pepper. Remove pan from the heat and use a hand blender to blend the soup. 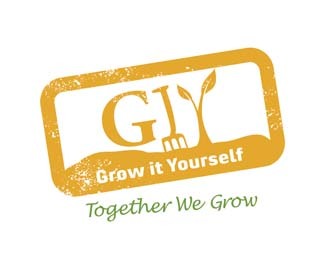 Visit the home of the GIY movement, GROW HQ in Waterford for a range of classes and courses on growing and cooking food. Our plot-to-plate café and bistro, just 110 paces from the veg patch, won the Farm to Plate award at the Food & Wine Awards and Local Food Hero at the Irish Restaurant Awards. Open 7 days from 9am to 5pm and serving evening meals from Thursday to Saturday. www.growhq.org. By joining GIY you help us to continue the work of supporting people just like you to grow food at home, at school, in the workplace and in the community – this year we will support over 500,000 people and 9,000 community food growing groups and projects. It costs just €35 to join GIY for a year, and to say thanks we will send you a seasonal copy of our supporter’s magazine GROW and some GIY seeds for you to sow each quarter. It will also entitle you to a 10% discount at GROW HQ and our online shop. Join today at www.GIY.ie. GIY is a not-for-profit organisation that aims to create a healthier, more sustainable world where people grow their own food. We inspire and support people to grow food more successfully by bringing them together to share advice, tips and ideas. There are approximately 65,000 people involved in the GIY movement in Ireland, which is proudly supported by Woodies DIY. Michael Kelly is a freelance journalist, author and founder of GIY Ireland. © GIY Ireland 2018 – all rights reserved.